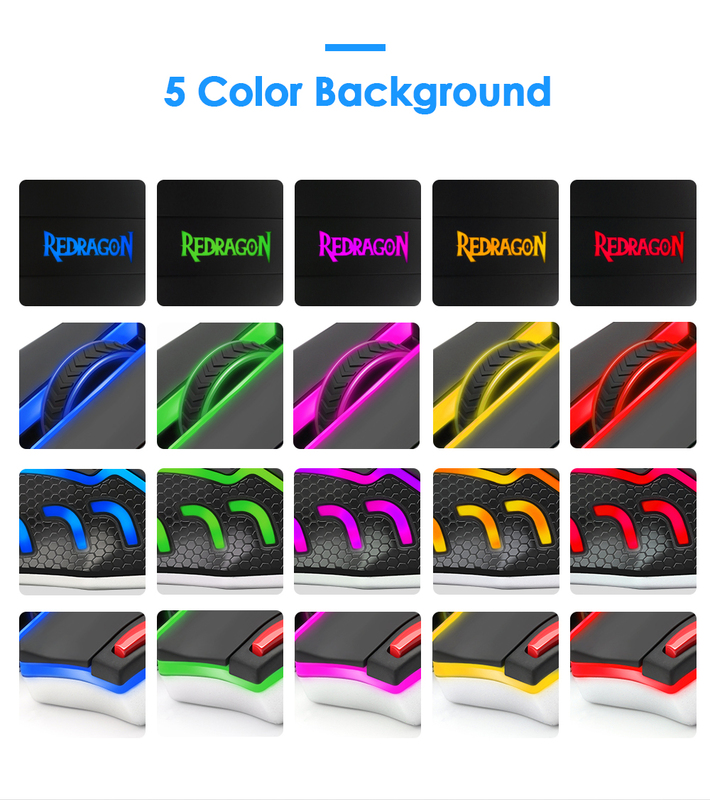 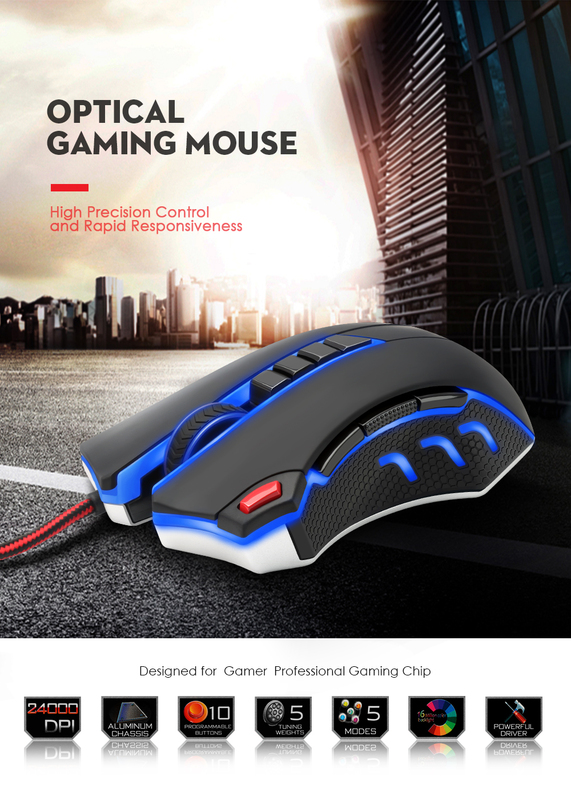 Incredible USB optical gaming mouse that you will love gaming with, plus 5 different beautiful LED colors for great Aesthetics. 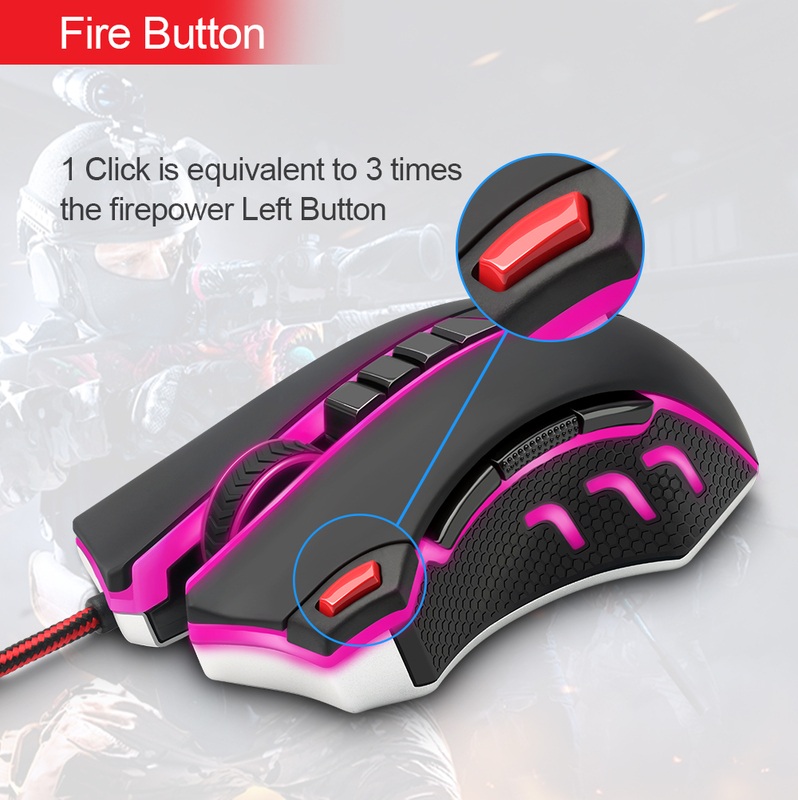 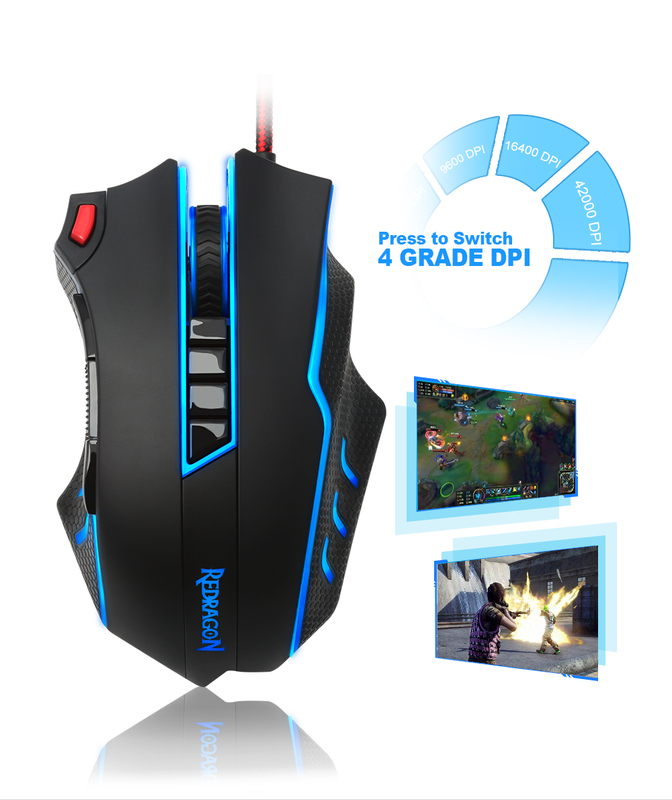 It has a ridiculous adjustable precision of 24000 DPI and 10 buttons so you can take super quick actions, plus a dedicated big fire button so you will never miss your chance when gaming online. 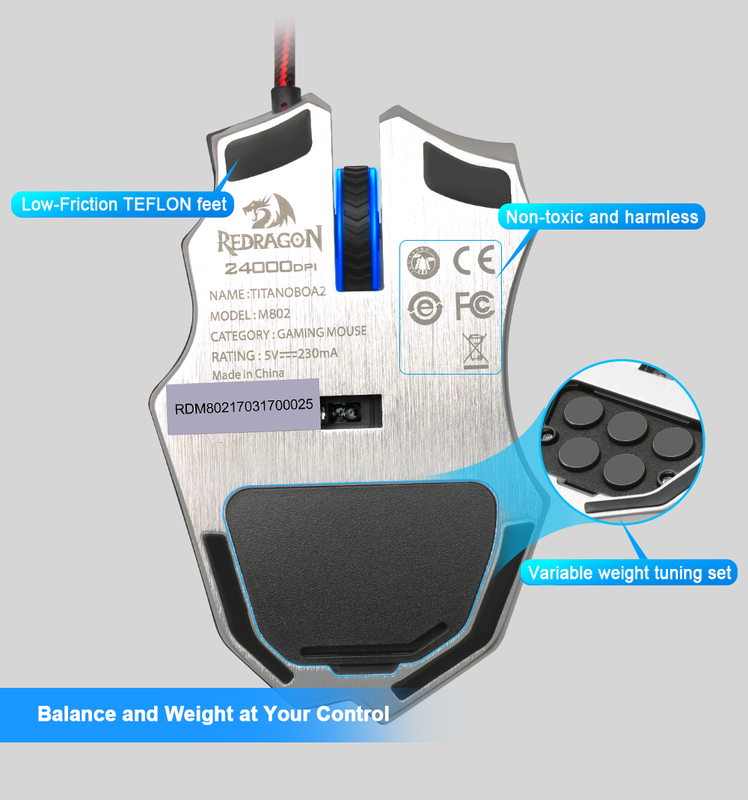 Its ergonomic design provides the most comfortable feel, you can also adjust the weight of the mouse with interchangeable weight modules. 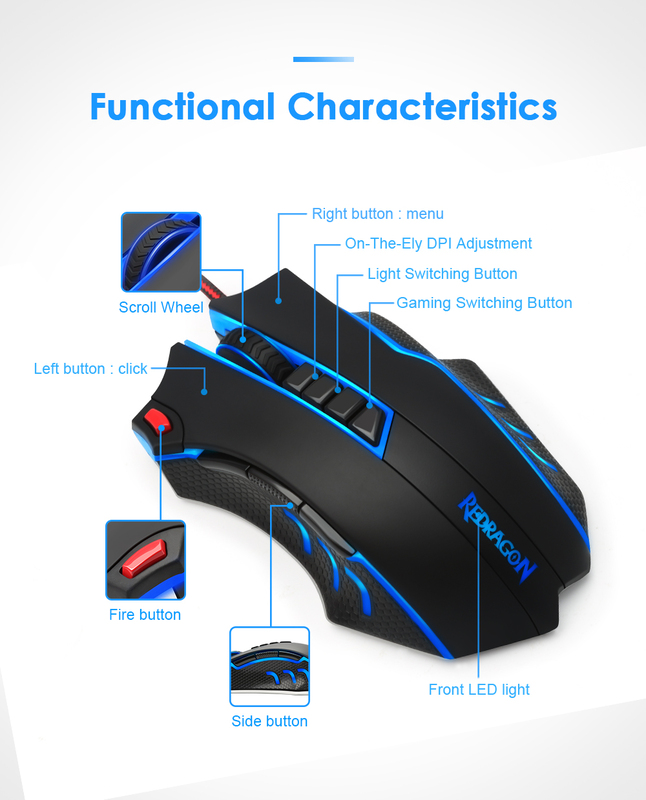 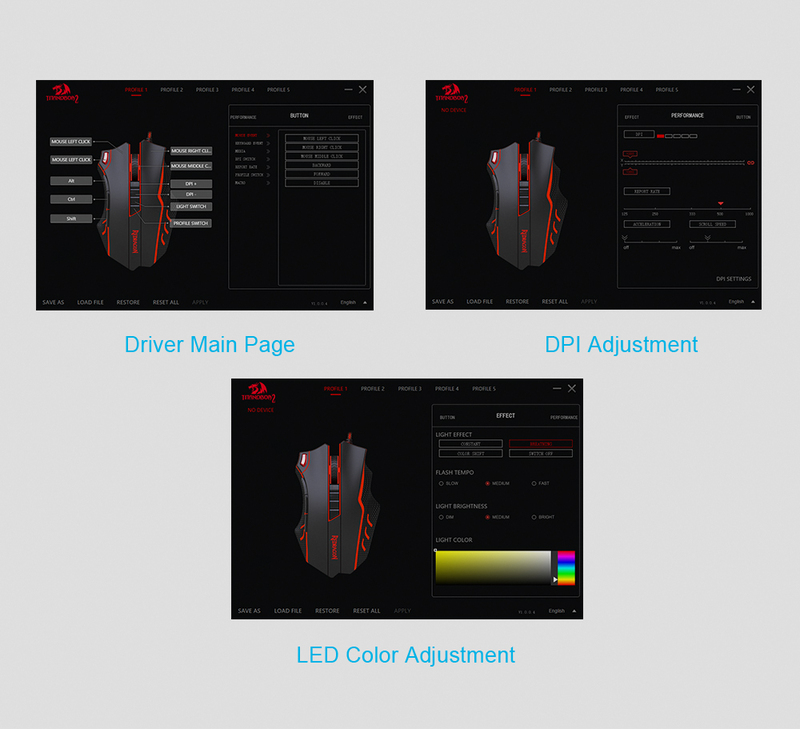 It is fully programmable with software designed specifically for gamers. 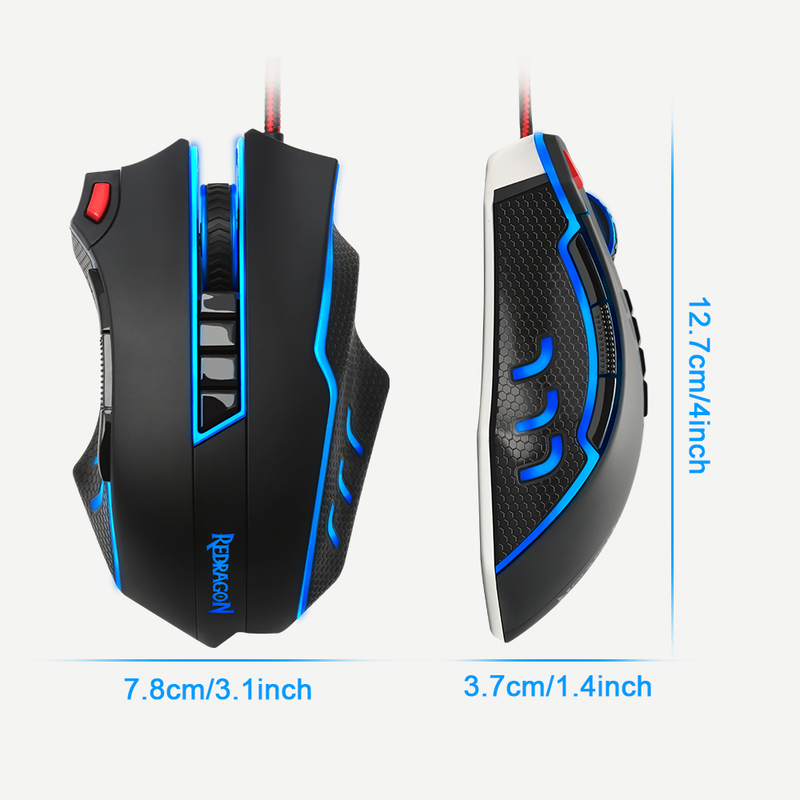 Item arrived as both described by text and images provided in description.